Thanks to popular culture and the media, Miami, Florida, has earned a reputation that sizzles hotter than South Beach. The setting of several popular cop shows, a medical drama, and a tattoo-parlor-themed reality series, the city exudes an air of excitement and danger, of grittiness and glitz. Even the nightly news does little to dispel this image. Yet, stereotypes aside, Miami is actually becoming a safer place thanks to the dedication of law enforcement and the citizens of Miami-Dade County. This commitment to crime prevention and safety is perhaps nowhere more apparent than within the county's public school system. 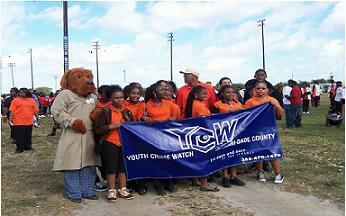 Miami-Dade County is home to a unique organization called Youth Crime Watch (YCW), which works hand-in-hand with the county schools to provide education and skills training on crime- and safety-related issues that affect young people. A dynamic program that reaches some 35,000 students and serves nearly 200 schools each year, YCW was recently selected as the National Crime Prevention Program of the Year by the National Crime Prevention Council. Training begins soon after a new school joins Youth Crime Watch. The principal typically assigns a staff member such as a school resource officer or assistant principal to serve as program advisor. Crime prevention practitioners certified by the Florida attorney general are recruited to work as YCW coordinators. Coordinators liaise with the schools, teaching new school advisors how to implement effective YCW programs. Additionally, coordinators instruct student volunteers on program goals and objectives and demonstrate ways to orchestrate school-based crime prevention campaigns. Currently, YCW employs three coordinators. At the foundation of the YCW program is its school safety survey, which advisors are encouraged to administer at the start of each academic year. The one-page survey asks students a series of basic questions regarding crime and safety, including “Do you feel safe in school?” “Could you get drugs/alcohol from someone in your school?” and “Do you know how to properly report a crime?” Next, respondees are asked to rank their particular concerns—from fighting, bullying, and bad manners to vandalism and theft—in order of perceived severity. Once the survey results are tabulated, YCW student volunteers, program advisors, and staff join forces to address the most critical issues impacting the student body. You've Got Problems? YCW Has Answers! For many youngsters across America, school resembles a minefield more than a place of higher learning. As early as the elementary grades, some children find that getting an education entails side-stepping bullies, drugs, gangs, and guns. Sadly, many of these problems do not cease when the school bell rings. Cyberbullying, stranger danger, and street crime follow many young people to and from the schoolhouse, making it difficult for them to concentrate on classroom assignments and homework. YCW programs cover a wide range of crime prevention and personal safety topics pertinent to students both in the classroom and at home, including alcohol prevention, anger management, dating violence, Halloween safety, identity theft, peer mediation, conflict resolution, and impaired driving. 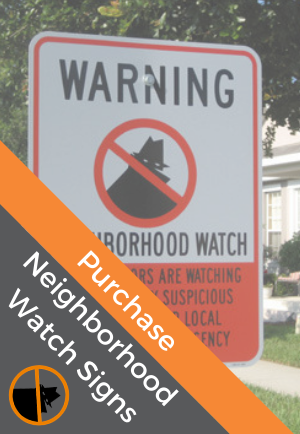 The organization also offers extensive crime prevention curricula that address the proper reporting of crime, anti-bullying strategies, stranger danger, and drug prevention. Two annual campaigns provide the opportunity for YCW students and faculty to hone their creative and leadership skills while showing off their school spirit. During the weeklong “Stop the Violence” campaign, held in the latter part of April, students decorate their schools with blue ribbons (blue being the official YCW color). Poster and slogan contests, door-decorating competitions, rallies, and assemblies build camaraderie while raising awareness of a serious problem. Red Ribbon Week, held each October, follows a similar format and is designed to promote drug prevention. Last year during drug prevention week, YCW conducted 47 drug awareness presentations, reaching a total of 9,090 students. A universal problem plaguing all schools is bullying. The National Youth Violence Prevention Resource Center estimates that almost 30 percent of youth in America are either a bully, a target of bullying, or both. Children who are antagonized by bullies often suffer loneliness, depression, anxiety, and low self-esteem. A 2002 report by the U.S. Secret Service concluded that bullying plays a significant role in many school shootings and recommended that efforts be intensified to combat the problem. As a result, several states, including Florida, have enacted legislation to outlaw student-on-student harassment within schools. Signed this past April 30, Florida's anti-bullying law has not yet been fully implemented. However, bullying awareness and prevention have long been important components of YCW. 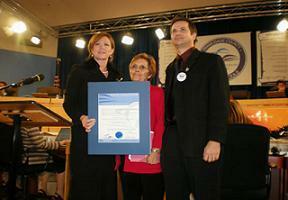 “Bullying is prevalent in Miami-Dade, just as it is all over the country,” said Mesa. “Our coordinators conduct an average of 85 bullying prevention presentations each school year. We disseminate literature to teachers, counselors, and students so the education can be reinforced in classroom activities.” YCW also orchestrates a number of bullying prevention campaigns to cultivate, promote, and maintain bully-free school culture, including an anti-bullying poster contest, bully-free pledges, and bullying prevention safety tips broadcast via the morning announcements or via a school's closed-circuit TV system. Sadly, more and more students are falling victim to more sophisticated forms of bullying that are not readily visible to teachers and fellow classmates. Most people remember the tragic story of the 13-year-old Missouri girl who committed suicide after being spurned on the Internet by an acquaintance who had feigned romantic interest. According to Mesa, “Cyberbullying is the form of bullying that has increased most rapidly in the past few years. As technological forms of communication advance, so do cyberbullying incidents.” YCW coordinators conduct numerous cyberbullying presentations each year using an effective, science-based cyberbullying curriculum that includes lesson plans, informational brochures and coloring books, videos, and group presentation kits. Last year, YCW hosted a poster competition titled “Insert Cybersafety, Delete Cyberbullying,” for which budding artists depicted innovative cyberbullying-prevention techniques. Parental involvement in their children's school crime prevention campaigns helps bolster YCW program success. Yet, in many immigrant families, lack of English language proficiency hinders parents' ability to play an active role in their children's education. The YCW staff are breaking down language barriers by translating program literature into Spanish and Haitian Creole, the two predominant minority languages in Miami-Dade County. Additionally, a grant request has been made to the U.S. Bureau of Justice Assistance, which, if granted, will be earmarked to translate YCW program videos into these languages and, possibly, to hire a Creole-speaking coordinator. McGruff and Scruff show off a safety awareness coloring book given out during the March 2008 “Be a Street Smart Family” community event hosted by Miami-Dade School Board member Ana Rivas Logan.